On 1 January 1901 Australia became a united nation. 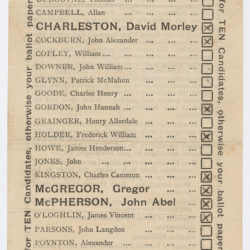 The Advertiser reported that ‘The future greatness of the Commonwealth of Australia is no mere careless speculation or optimistic dream’. The first federal convention was held in 1891 in Sydney. 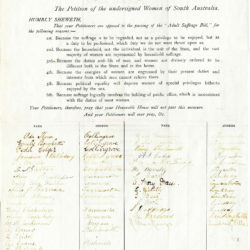 In 1897-98 conventions were held in Adelaide, Sydney and Melbourne. 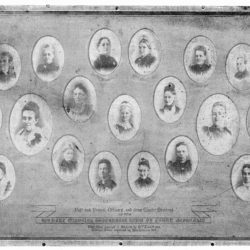 South Australia sent ten delegates to the meetings, all of them experienced federalists (those who advocate a system of government in which several states unite under a central authority). 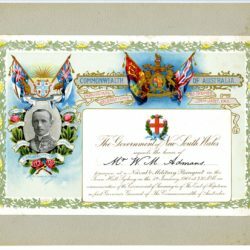 Under the Constitution of the Commonwealth of Australia the colonies relinquished some power to the federal government including the control of overseas relations, defence, customs, immigration, money, banking and other matters of general national importance. This invitation is addressed to William Admans who was for several years a member of The Age reporting staff. Admans was also a member of the Federal Hansard staff.